MEET LLOYD! – Forbidden Planet NYC Store, New York! 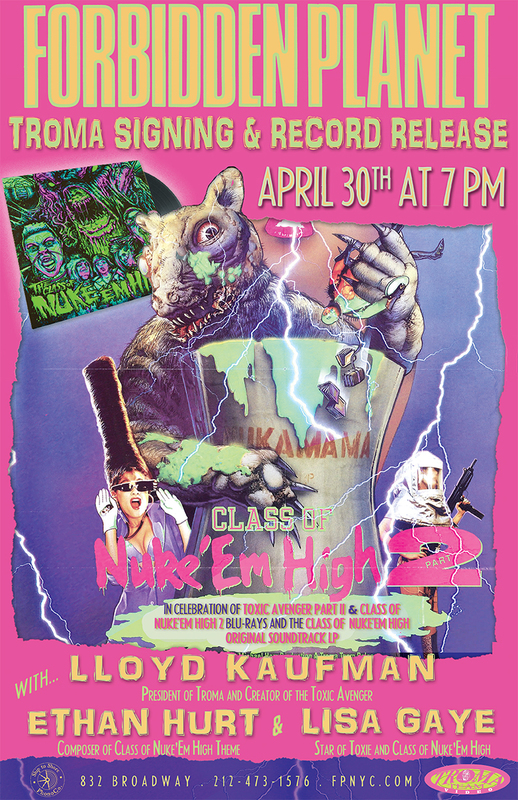 Lloyd Kaufman, Lisa Gaye, and Ethan Hurt to Appear for April 30th Forbidden Planet NYC Signing of the “Class of Nuke ‘Em High 2” Blu-Ray and the “Class of Nuke ‘Em High” LP! Lloyd Kaufman, President of Troma Entertainment and Creator of the Toxic Avenger, will be appearing at Forbidden Planet this Thursday, April 30th for an exclusive Troma signing event. He’ll be joined by iconic Troma superstar Lisa Gaye (Class of Nuke Em High 2: Subhumanoid Meltdown, Toxic Avenger 2 & 3) and Class of Nuke Em High composer Ethan Hurt in celebration of Troma’s latest releases, which includes the Class of Nuke ‘Em High 2 Blu-Ray. 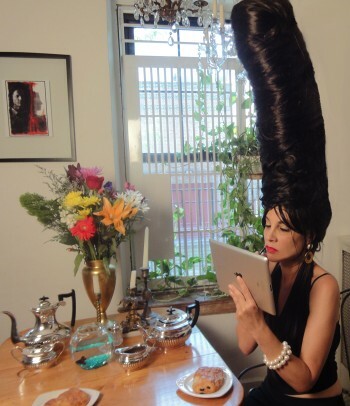 Lisa Gaye will be meeting with fans and signing Troma merchandise this April 30th! The event, hosted at Forbidden Planet, will take place between 7pm and 9pm. Kaufman, Gaye, and Hurt will be meeting with fans and signing Troma merchandise. Also available is the Class of Nuke ‘Em High Original Soundtrack LP, distributed by Ship to Shore PhonoCo. Available for the first time on vinyl, this ‘tromazing’ release is available for in-store purchase and online pre-order. For more info on this event, Lloyd Kaufman, and Troma, fans can ‘Like’ Troma’s Facebook page. This entry was posted on Monday, April 27th, 2015 at 2:32 pm	and is filed under Events, News. You can follow any responses to this entry through the RSS 2.0 feed. You can leave a response, or trackback from your own site. You are here : Home » news » 2015 » 04 » 27 » MEET LLOYD! – Forbidden Planet NYC Store, New York!